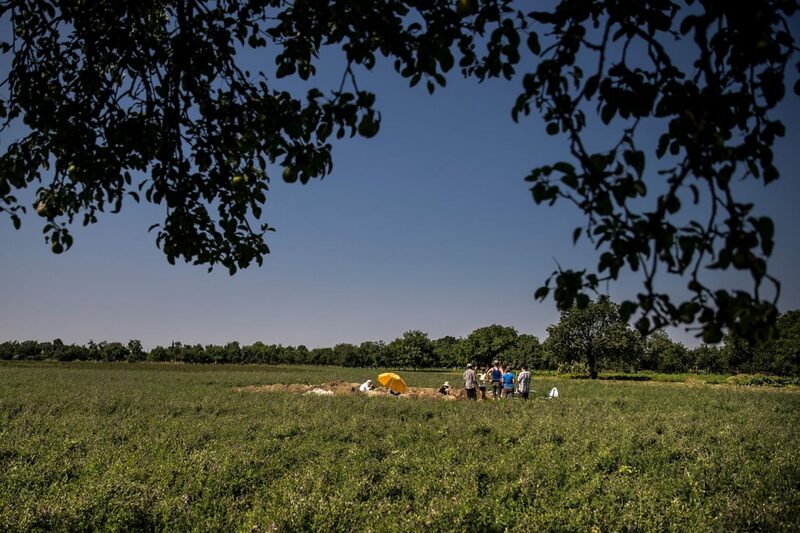 Students excavate and analyze material from the burial sites in the Bronze Age cemetery of Békés 103 in Hungary. As an occupational therapy major, sophomore Heleinna Cruz learns by observing how people move. Over the summer, Cruz had a chance to learn from bodies that hadn’t moved in nearly 5,000 years. 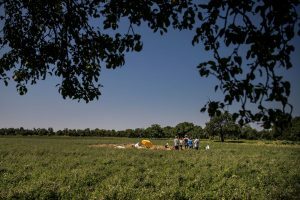 Cruz was a member of an international team of specialists and students from around the world who excavated and analyzed material from burial sites in the Bronze Age cemetery of Békés 103 in Hungary. The work is part of the BAKOTA project, an international, multidisciplinary archaeological project. This fall, Cruz presented her research findings at a professional conference and will continue developing her work to present at a conference in Canada in the spring. Cruz participated in the trip to explore the connection between anthropology, and specifically cultural customs, and health. With the team, Cruz documented the color of the bones at the cemetery to determine the techniques used to cremate the bodies and evaluated what those methods indicate about that person’s role in society. The experience made her question how cultural practices affect health. Based on her work, Cruz found that adult bones more often were white, which meant they were burned at a higher temperature. Maintaining the heat would require someone to be present to keep the fire going. Younger bones tended to be other colors, such as gray or tan, which meant they did not receive the same attention during cremation. In October, Cruz presented a poster at the Bioarchaeologists’ Northeast Regional Dialogue Annual conference in Albany, New York, along with QU assistant anthropology professors Jaime Ullinger and Julia Giblin. Ullinger is a BAKOTA Project mentor and director of the BRIQ Institute; Giblin is a BAKOTA Project co-director and student mentor. Cruz and Justine Tynan, a 2016 graduate and a research assistant on the BAKOTA project, will present their research at the Society for American Archaeology conference in Vancouver in April. Tynan first traveled to the site in 2014 with Giblin. A year later, Giblin received a three-year $358,558 National Science Foundation Research Experience for Undergraduates grant to have students from across the country participate in the research and field school at the site. Working with an international group of mentors, students learn archaeological research skills, from handling artifacts to collecting and evaluating data. This is the second year the grant has funded students’ participation. This year’s participants included eight students from U.S. universities, two Central European students, funded by the Central European Institute at Quinnipiac, and three research assistants, including Tynan, who have participated in the BAKOTA Project in the past. In addition to having the trip funded, each student received a $500 weekly stipend.